Second year begins and Daisy, Susan, and Esther have taken their friendship commitment to the next level by moving into their “beautiful home”, off-campus. But the keys didn’t come without a whole new level of responsibility. Unwanted suitor visits, a robbery, and Susan living only a few blocks apart from her ex-boyfriend, McGraw has made the dorms feel like a haven. The girls are in for a dose of reality when they learn that there’s more to being an adult than paying your own rent. 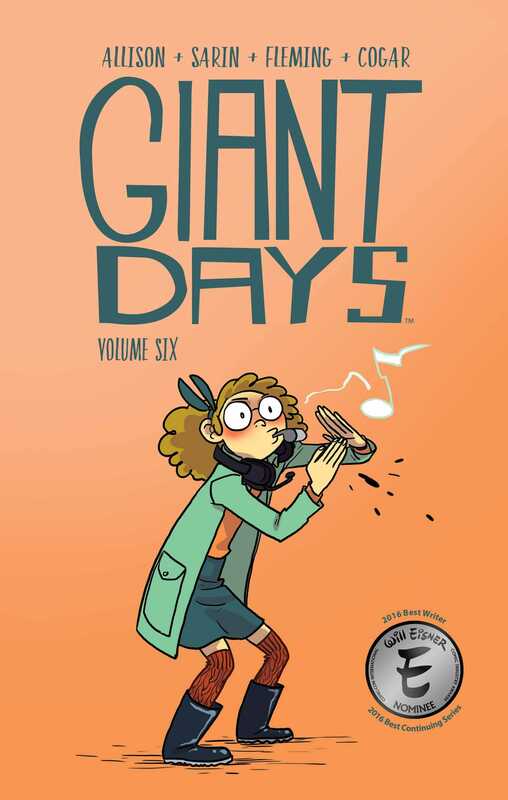 Eisner Award nominee John Allison (Bad Machinery, Scary Go Round) and illustrator Max Sarin, welcome you back to Sophomore year in Giant Days Volume 6, collecting issues #21-24 of the critically acclaimed series.